Looking at the instructions I can't see any mention of the rigging, am I missing something here or is this normal? Do I need to look else where for a guide? It's normal. Very few plastic model companies will have rigging diagrams in their instructions. Best bet to start would be her Navsource page, although you might need to pay attention to the date of the photo and use photos of her sister ship if you can't find everything you're looking for. I just got back into the hobby myself, and had been planning to build the Big E for years. I got the Academy Enterprise for Christmas as well, and it was a fantastic kit to use as a way to learn new techniques and re-learn old ones, all while building a great model! I converted mine to the ship's 1945 appearance, so it took a lot of extra work, but the Academy kit was a great foundation for the build/conversion. I'm sure you will love building your version of the Big E! Look forward to seeing your progress! Looks like the Trumpeter 1/700 Yorktown CV-5 is out there. 1st listing I've seen is on ebay. From what little can be seen, it appears to be close to the Santa Cruz fit, but with Trumpy's usual "omissions". TBD's were gone by then. The hull appears to have the Yorktown degaussing cable pattern, rather than Enterprise's. Nothing that can't be fixed, but annoying. I will still get one. This is CV-6 Enterprise, the WWII ship and not the nuc. 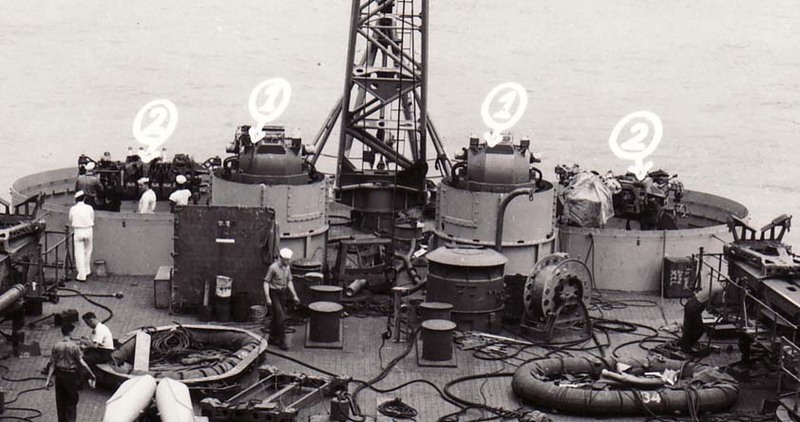 According to the NHHC, the CV-6 portholes were installed in the Captain's cabin, not the bow (which would make sense, given the increased exposure to the elements at the bow). One of six porthole frames and covers removed from the bridge of USS Enterprise (CV-6) in 1958. These portholes were installed in the Captain’s cabin aboard USS Enterprise (CVN-65) and are slated to be installed aboard the next ship to bear the name of Enterprise, CVN-80. Nice gestures no doubt. I was once involved with the Enterprise Association and their members often argued about who was responsible for the failure to keep E intact as a war memorial. Many of the members considered the scrapping as almost a crime against history. (Many speculated that Arleigh Burke had it in for Halsey - I can't confirm that.) Whatever happened the funds never appeared - someone thought a floating war memorial would be a waste of money. Let's think though. If CV6 was sitting in New York Harbor and contained as many representative "war birds" as possible and other exhibits, would anyone go see it? I think so. A model boat is much cheaper than a real one and will not sink with you in it. consider this, if cv6 was not scrapped then would there have been a cvn 65 & eventually cvn 80? I hope it would have been kept in commission like Constitution and Victory. I'm not exactly sure when the USN stopped naming their CVs after famous ships or battles and started naming them after political leaders but I regret it. (The Vinson? Stennis?) If we're going to honor Presidents, there should be some empty slots for the Carter, Clinton and Obama. In any case there are a number of notable US ships with names available and even more battles. I don't think it would have diminished the fame of the Enterprise if the real ship was still with us. It did, after all, have a war record that is simply astounding. Enterprise reminds me of a British figure in the Battle of Britain, who said words to the effect of "I didn't have to win, I simply had to not lose." When did CV-6 go to a muted deck marking system ? 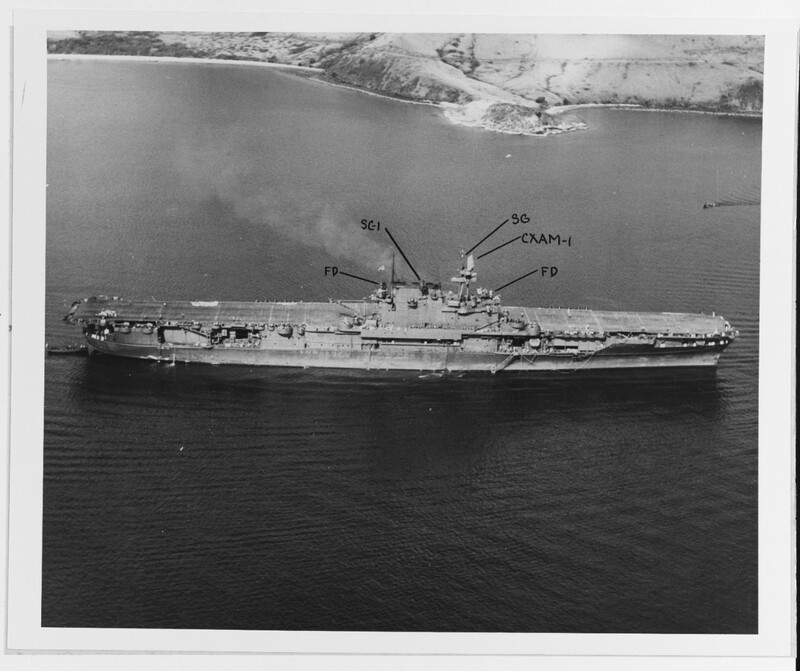 I have a picture of her flight deck with high contrast marking sometime early in the war, March (?) and thought that she went to a low contrast deck marking system about May 1942 ? Enterprise's stern plate, Riverdale NJ. The stern plate is located in a Veteran's Park in Riverdale, NJ. The man who was in charge of scrapping Enterprise lived in Riverdale, and made sure this part was saved for posterity. There is a small display inside the library (next to the park), with artifacts from Enterprise. More photos posted on the MW Facebook page (which you should already be following!). I hope I can visit there sometime as I would just like to actually touch the nameplate. That would be awesome. Can anyone please inform me the type of AA Gun Directors used on CV-6 USS ENTERPRISE 's 40mm Quad Bofors from September 1942 to December 1942? Was it the Mk-44 Gun Directors ? or the Mk-45 Gun Directors (used on BB-57 USS SOUTH DAKOTA based on http://www.navsource.org/archives/01/57jk.htm) ? or the Mk-49 Gun Directors (used on BB-56 USS WASHINGTON based on http://www.researcheratlarge.com/Ships/Misc/Mk49/BB56x2-18Aug42.jpg) ? or the Mk-51 Gun Directors ? I appreciate for any clarification and information. From the photos I have, USS ENTERPRISE (CV-6) had Mk 51 directors for directing her quad 40-mm mounts. I believe that she had Mk 44 directors for her quad 1.1-in mounts prior to installation of the 40-mm mounts. The Mk 44 director was an interim director intended for use with the quad 1.1-in mounts until the Mk 49 director was available. 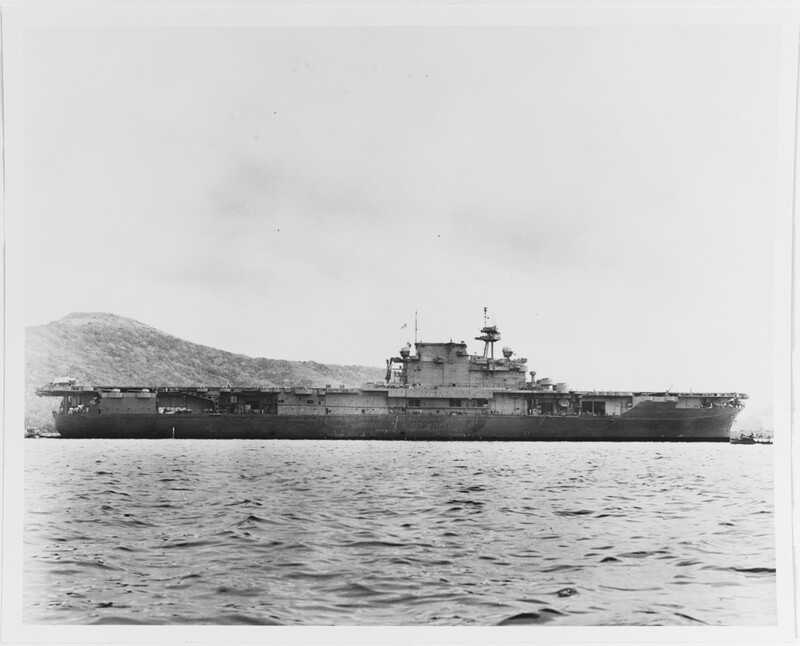 The Mk 49 director had development problems that delayed deployment and the Mk 51 director was developed as another "interim" director, which ended up being found superior to the Mk 49 director and lasted well after the Mk 49 director program was cancelled in September 1943. The Mk 44 director was never used with any 40-mm gun mounts, as far as I know. Mk 45s were only used on battleships as far as I've seen - I believe they were considered too heavy for carriers. Post subject: Does Enterprise carry 4-50cals into Santa Cruz? I have the new 1/700 Trumpeter Enterprise kit and it indicates 4-50 cals in mounts P/S of bow flight deck and 2 P/S of bow mounted 1.1. Is this correct? There are little details to this kit that are not so accurate.